Now that it's cool to care about the Boston Marathon again, Fittish will spend the next seven days familiarizing you with the elite field. Today's entry: Dennis Kimetto. Really? : Uh, sure. One time they gave him the world junior record for the half-marathon, until they realized he was actually ten years older than they thought. But it's all straight now, I'm sure. Why Do Some People Say PR and Some Say PB? : I think one is metric. Signature Wins: Chicago 2013 (course record); Toyko 2013 (course record); Walt Disney World Princess Half Marathon (psyche!). Likelihood of Victory: High to Very High. He has the fastest personal best in the field, and has won his last two races in decisive fashion. 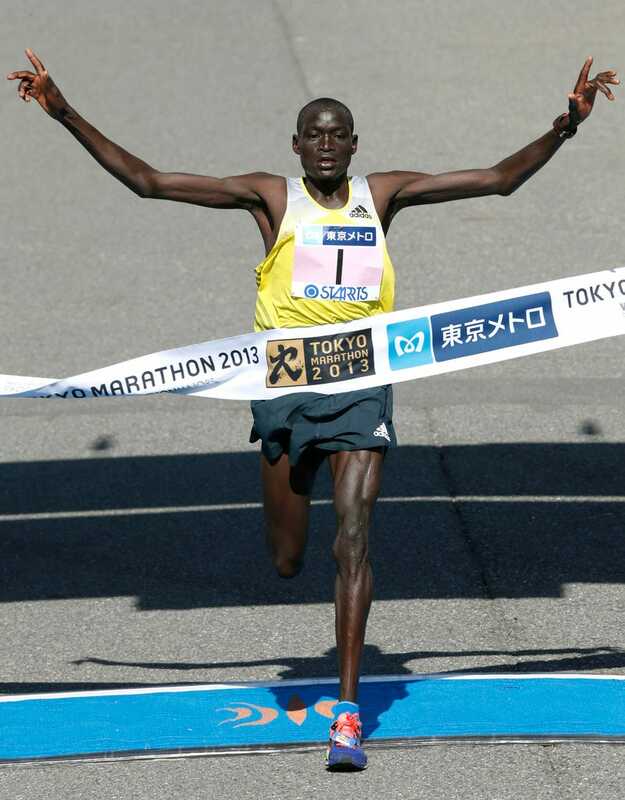 With a victory in Boston, he joins yesterday's London winner, Wilson Kipsang, as the co-greatest marathoners on the planet. Fun Fact: Would become the first Dennis to win the Boston Marathon since three-time champion Dennis Rodman.